RYANAIR IS LOOKING to recruit 200 new staff as it aims to create the next generation of online and mobile travel services. The new roles are part of the company new digital and IT innovation hub, Ryanair Labs, which is located in Swords. The positions will cover areas such as analytics and data, software development, software testing, media and marketing and user experience design. A particular focus will be placed on developing mobile products, especially native apps, and will also include roles for three “innovation hackers,” which will consist of a small team of graduates that will pitch and develop ideas which could form the basis for future apps and services. The company didn’t rule out the chances of additional members being added to this team as they begin the recruitment process. When asked about it, a spokesperson said that such an expansion could “possibly” happen. When its campus in Swords was officially opened in April, it announced that the 1000,000 sq.ft campus would be used to help develop the company’s digital presence and would be on top of the 500 new roles for pilots, engineers and cabin crew that it will create across Europe in 2014. It also launched its new site on the same day. 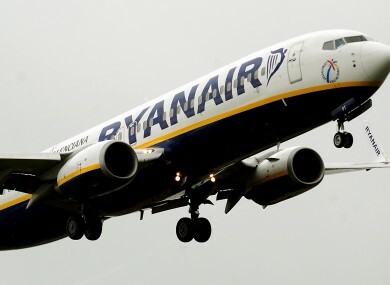 More than eight million people visit Ryanair’s site every month, according to the company’s website. The company is aiming to have all positions filled by December. Email “200 jobs up for grabs as Ryanair launches digital lab”. Feedback on “200 jobs up for grabs as Ryanair launches digital lab”.